Deception. Risk. Betrayal. Redemption. Master storyteller Scott Westerfeld is at the top of his game, and back to his most famous realm. A New York Times bestseller. Frey and Rafi are inseparable . . . two edges of the same knife. But Frey's very existence is a secret. Frey is Rafi's twin sister-and her body double. Their powerful father has many enemies, and the world has grown dangerous as the old order falls apart. So while Rafi was raised to be the perfect daughter, Frey has been taught to kill. Her only purpose is to protect her sister, to sacrifice herself for Rafi if she must. When her father sends Frey in Rafi's place as collateral in a precarious deal, she becomes the perfect impostor-as poised and charming as her sister. But Col, the son of a rival leader, is getting close enough to spot the killer inside her. As the deal starts to crumble, Frey must decide if she can trust him with the truth . . . and if she can risk becoming her own person. 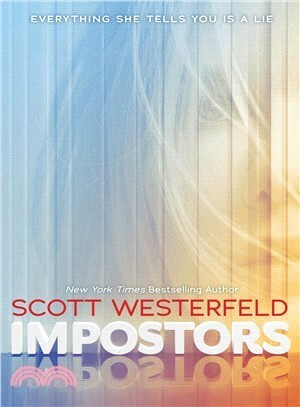 With Impostors, master storyteller Scott Westerfeld returns with a new series set in the world of his mega-bestselling Uglies.